Remembering an icon on his special day. Following an official proclamation by the city of Pittsburgh, Major League Baseball is celebrating Roberto Clemente Day today. The Puerto Rican star was the first Latin American player to be enshrined in the Baseball Hall of Fame is is widely recognized for his offseason charity work. He tragically died in a plane crash while trying to bring aid supplies to earthquake-ravaged Managua in 1972. 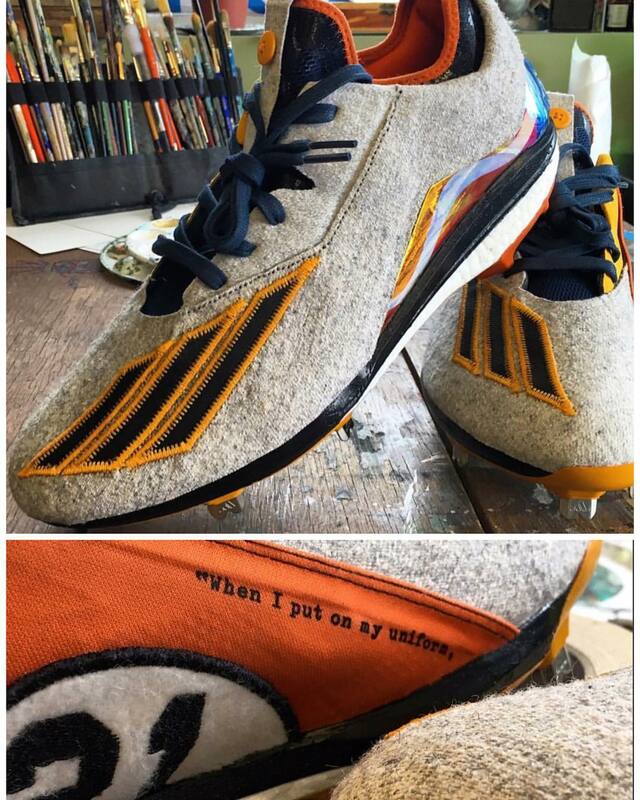 To commemorate the baseball icon, adidas gave players like Houston's Carlos Correa custom Clemente cleats. The Energy Boost Icon is constructed with jersey-like material and features Clemente-inspired details throughout. The medial sides are adorned by the number "21" and a portrait of the Hall of Famer. Unfortunately, Correa is out tonight with shoulder inflammation, so appreciation for these cleats my be limited to checking out the photos.